Black Diamond Strings makes the highest quality guitar strings and are unlike any other brand on the market. Our strings are unequaled in both strength and tone. Just like people, the integrity of a quality string is found on the inside — at the core! GET BACK TO WHAT'S REAL! For over 125 years, Black Diamond has produced quality strings for musicians demanding consistency, long-life, and tone. GET BACK TO WHAT'S REAL ! The core is the pulse of our string. It’s the heartbeat. We pull our high-carbon steel core to the optimum playing tension producing a string that opens up smoother and holds its tone longer. One of the most reliable string brands available. 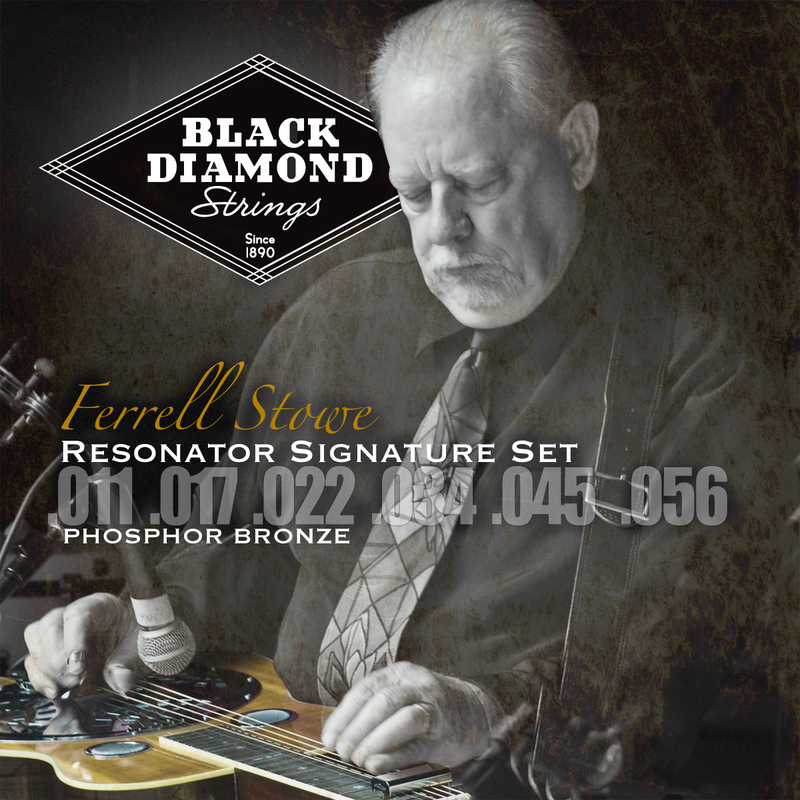 Our formulated Diamond Black coated strings eliminate the chance premature rust and corrosion. So if you are in a high humidity area, and your other brand ain't cutting it, please give ours a try. Plus they look really cool. Available in Bass, Acoustic, Electric, Banjo and Mandolin. 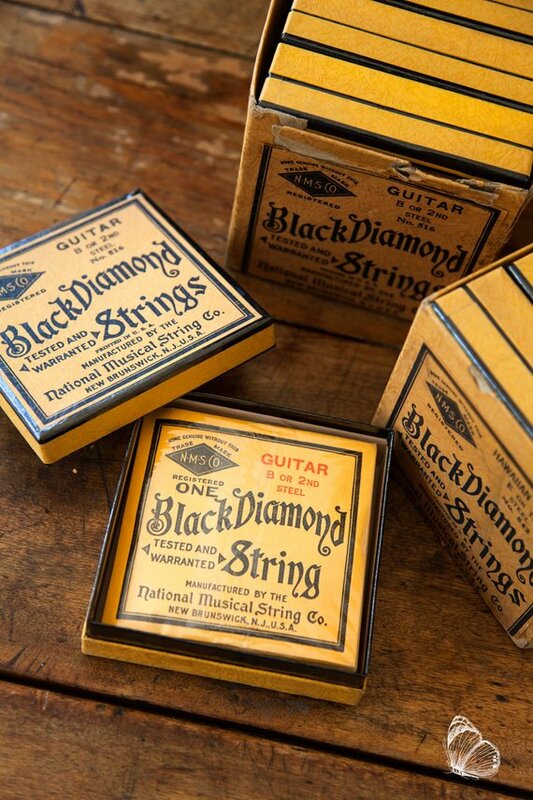 Black Diamond Strings has a rich heritage. Black Diamond has been making instruments sound their very best since 1890. Just ask your older brother, your uncle, your father, or even your grandparents. Chances are, they played Black Diamond and can tell you some great stories. It’s a fact... if there’s music in the roots of your family tree, there’s a Black Diamond story resting in the branches. NAMM Honors Black Diamond For 125 Years! January 23, 2015 - The National Association of Music Merchants (NAMM) has honored Black Diamond Strings with the Milestone Award for 125 years of service in the music products industry. The award recognizes retailers and manufacturers who have succeeded over the years through best practices and strong community standing to reach a landmark anniversary. "NAMM is proud to recognize Black Diamond Strings, LLC for their 125 years of service to their community, staff and to the music and sound products industry", said Joe Lamond, NAMM president and CEO. "Their hard work and willingness to adapt, as well as their commitment to making this world a more musical place have helped them stand the test of time and will be the driver of their future success." 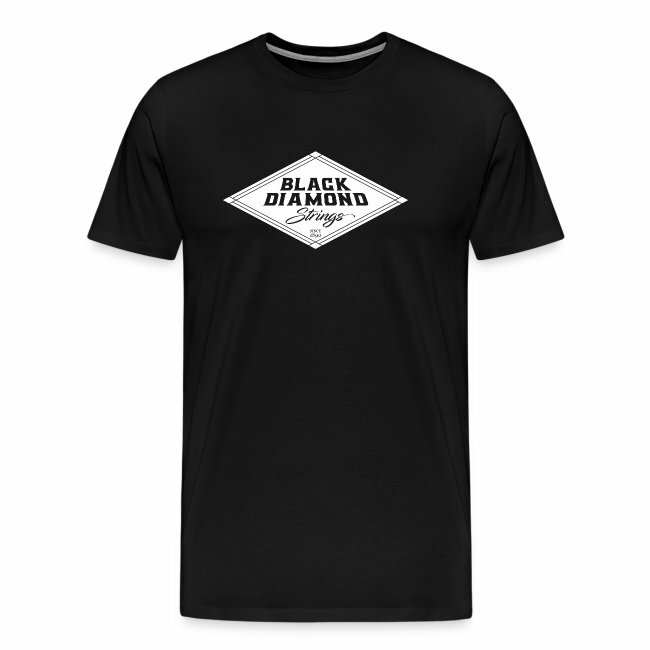 GET YOUR BLACK DIAMOND SHIRT TODAY ! A lot has changed in string manufacturing since then. Today, we have sophisticated winders, stronger materials, and greater technology to utilize. 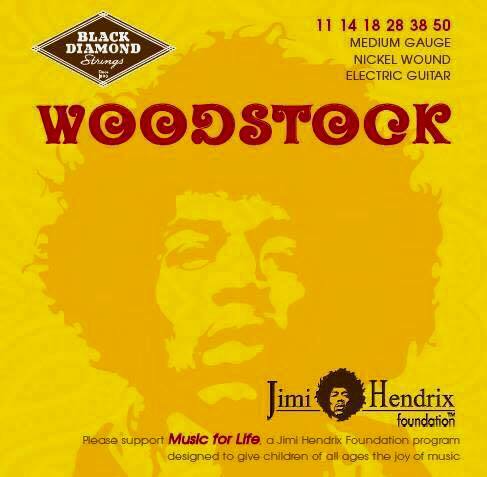 But yes, Black Diamond Strings is the same brand that played a big part in the lives of prior generations.